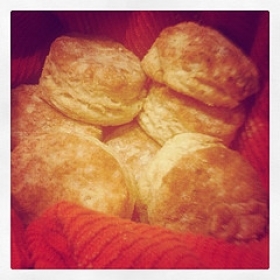 Have you made Basic Biscuits Homemade? 1. Preheat oven to 450 to 500 degrees. 2. 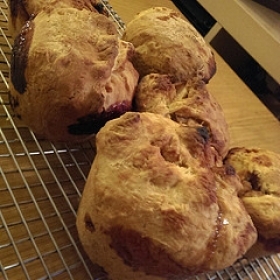 Sift 2 cups of flour with the baking powder and salt in a bowl. 3. 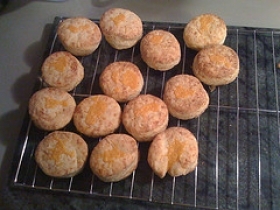 Cut in the shortening with a pastry blender or fork, or work in with your fingers. 4. Add the milk to make a soft dough, mixing just until the dough holds together. 5. Flour your hands. 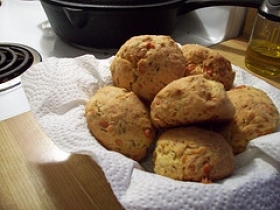 Pull off a piece of dough the size of a biscuit and dip the wet edge into extra flour. 6. 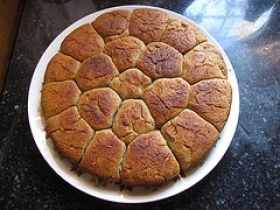 Then roll or pat into a biscuit shape. 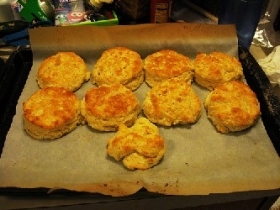 Place the biscuits, slightly touching, on a lightly greased baking sheet. 7. 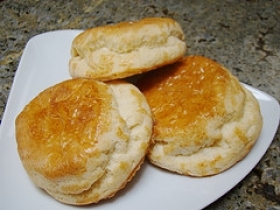 Bake until golden brown 8 to 10 minutes Makes 12-18 biscuits.